Last week I explained why the StripSafely campaign is important to me: Because dosing insulin for a child with type 1 diabetes using test strips that aren’t accurate can have serious affects on blood sugars. You can see the photo I took last week representing the 89 blood sugar tests we did in the week that Q was without her CGM. Today the artwork I share with you is a graphic representation of the monotony of numbers that we deal with day in and day out as we deal with diabetes. These are those 89 blood sugar tests. Without the CGM, Q had the lowest blood sugar she has had in over five years since her diagnosis with type 1 diabetes and also some of the highest numbers. You’ll notice the numbers in blue are ones that I did not trust to be accurate and I asked Q to wash her hands and test again. Unfortunately we didn’t have red paint in the house, because I did intend another meaningful layer. But in the interest of sharing on the actual day of the special edition of Diabetes Art Day, just imagine the blood drops. Q volunteered her own blood, but I politely declined. Check out the StripSafely website where you can find a draft letter as well as contact information for your representatives. Tweet about the issue using hashtag #stripsafely. 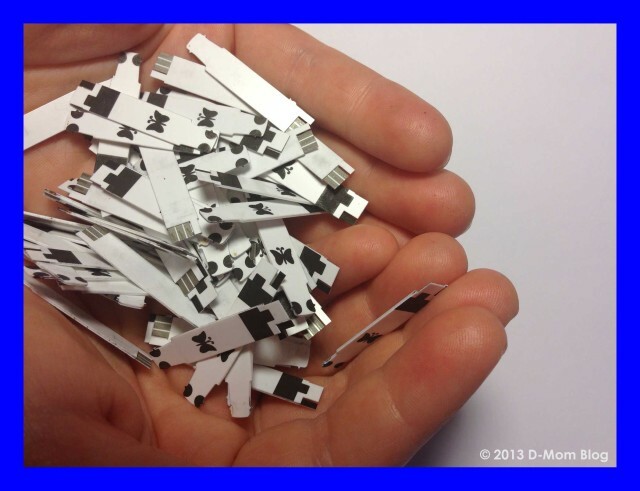 You can also create artwork featuring test strips (see my photo above) or reflecting your thoughts about test strip accuracy for a special addition of Diabetes Art Day on August 26, 2013. This photo represents the 89 times Q’s blood sugar was tested during one week. You’ll notice the little flecks on her fingertips, each a wound from being poked with a lancing device to get a drop of blood. 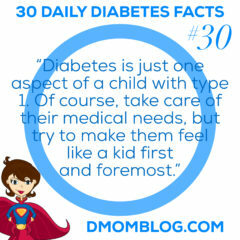 What’s worse than having to physically hurt your child each time you need to know her blood sugar levels? Having to poke her a second time because you can’t trust the accuracy of the test strips. 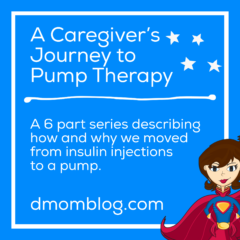 Last week we were without Q’s continuous glucose monitor (CGM). You don’t know what you got ’til it’s gone, right? That week I returned to overnight blood sugar checks and we saw some of both the highest and lowest numbers we have seen since beginning the CGM about 15 months ago. And in fact, Q had her absolutely lowest low ever: 30 mg/dl. Plus she had a 38 after coming home from her first day of school. We rely on the high and low threshold alarms on the CGM to head off those crazy numbers. To have a small snack, a few glucose tabs, or reduce her basal rate if we see she’s trending down or give some insulin or increase her basal rate if she’s starting to go too high up. In the week we were without the CGM (and it’s still not exactly fixed, but that’s a story for another day), we tested her blood sugar 89 times. Eighty-nine! Because I don’t trust the accuracy of test strips, when her blood sugar is above 300 we always test a second time after a good hand washing. Can you imagine if I treated a high blood sugar and she wasn’t really high? I think that test strip accuracy is incredibly important, particularly for small children who require small amounts of insulin. 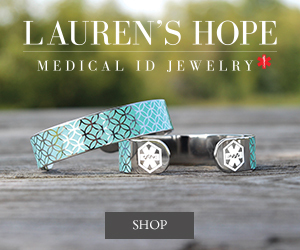 We’ve tested twice and had numbers as far off as 80 or 100 mg/dl. That could mean a full extra unit of insulin for my child! The margin of error that is allowable according to FDA standards actually means that wide variances are okay. But it’s not okay. For our children’s safety and health we need to demand more accurate test strips. We need the FDA to make sure that strips and meters on the market continue to meet standards even after they were originally FDA-approved. Creating my Diabetes Art Day project. All images are copyright D-Kid Blog, D-Mom Blog ,and D-Mom Media and may not be copied or reproduced without express written permission. If you are my age, you totally have the theme song running through your head right now. 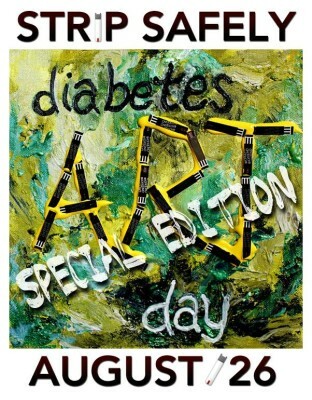 Diabetes Art Day is February 4, 2013 this year so it’s time to start thinking about your project. I am excited because this year there is a separate children’s gallery that will have artwork created by children for children. That’s exciting in my opinion because I am all for free expression, but I don’t necessarily want to expose my young child to adult themes, as real as they may be. Unfortunately the huge pile of test strips that I was collecting was, ahem, thrown away. 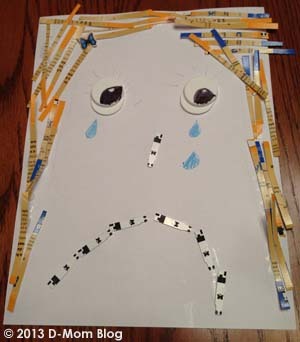 Diabetes Art Day is a web-based initiative for the Diabetes Online Community to “tell a story” about life with diabetes though creative visual expression. 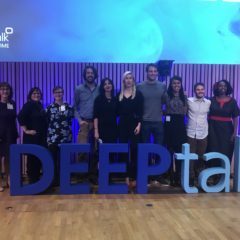 It’s a way for us to tell our stories so we can connect and share with each other and with our loved ones. 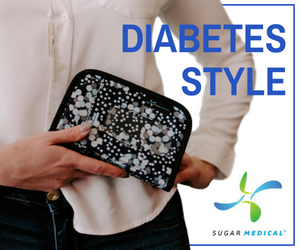 It’s a way to generate diabetes awareness outside of the DOC by sharing artwork on Facebook, Twitter, blogs and community websites. 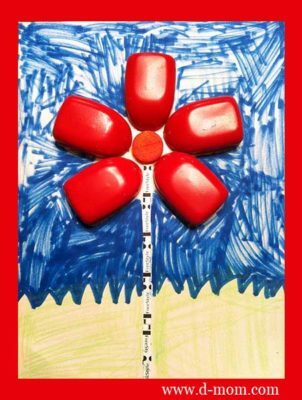 Diabetes Art Day is for people young and old with any type of diabetes and their families, so children, spouses, parents, siblings, or anyone who is affected by diabetes can participate. For this one day, you’re encouraged to break out of your linguistic comfort zone, bust out some art materials, and make a piece of artwork – painting, drawing, collage, sculpture, an installation piece, a mixed media something or other, or whatever you can imagine. Whether you have lots of experience making art or none at all, Diabetes Art Day is for you to show the world what it’s like to live with diabetes in that “a picture is worth 1000 words” kind of way. 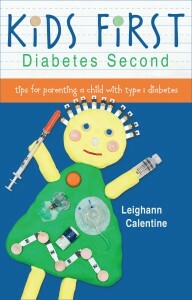 Did you know that the cover of my book was inspired by Diabetes Art Day? It’s true. Karen Graffeo, my friend who writes Bitter-Sweet, made a piece of diabetes art for the 2010 event. We asked her to create a similar piece with a more child-like appearance for the book cover. I love the juxtaposition of the playful Play-Doh and the girl’s rosy Smarties cheeks and half smile with the harsh reality of the diabetes supplies that keep our children alive. My friend Lee Ann Thill (I have such great friends!) was recently awarded a Diabetes Hands Foundation Seeds Grant which will enable her to make Diabetes Art Day even more fabulous in future years. Lee Ann is also the founder of the annual World Diabetes Day Postcard Exchange. 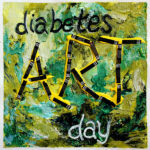 This year Diabetes Art Day falls on September 24, 2012. 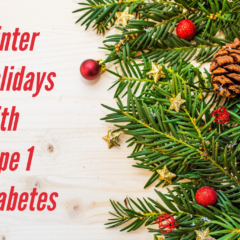 So grab that paper, crayons, markers, glitter glue, modeling clay, and diabetes supplies and make some great art!